RE Classic 500 Based Steroid 540 Cafe Racer Simply Intimidates! 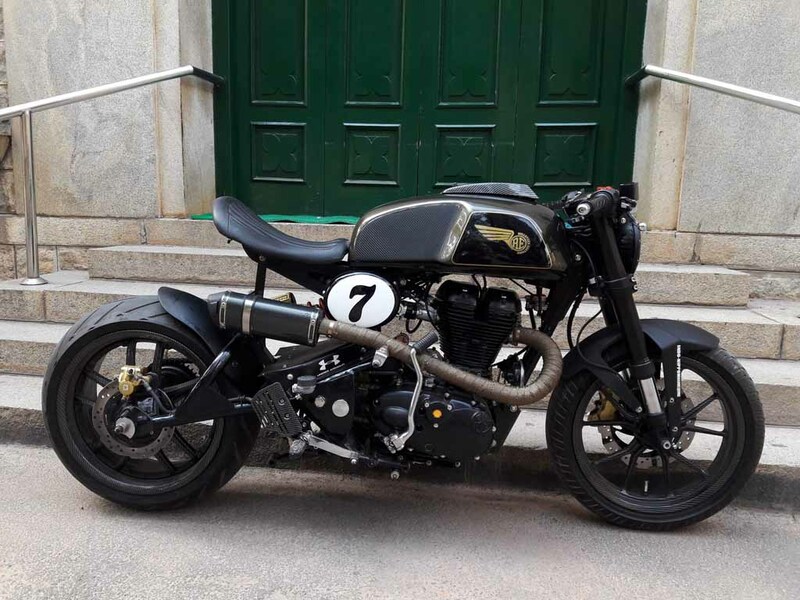 Home Bikes News RE Classic 500 Based Steroid 540 Cafe Racer Simply Intimidates! Royal Enfield is certainly the favourite motorcycle brand for those riders who seek the old age charm from their machines. The throbbing sound, power packed performance, and the joy of cruising the Royal Enfield motorcycles deliver is certainly the any rider will love to experience. The Enfield motorcycles are also the favourite for the customisation studios who love to give the motorcycles a distinctive look. 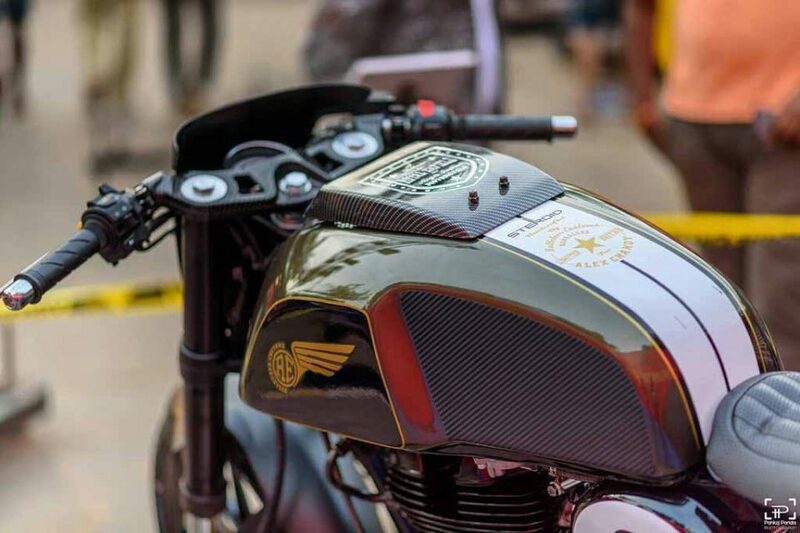 Here, we have a Royal Enfield Classic 500 based customised motorcycle christened as the Steroid 540 Café Racer. The motorcycle comes with a very unique and attractive look. It appears aggressive and very much attention grabbing indeed. The RE Classic 350 is one of the most popular and bestselling models from the company, but its bigger sibling Classic 500 is popular to those riders who love more power. 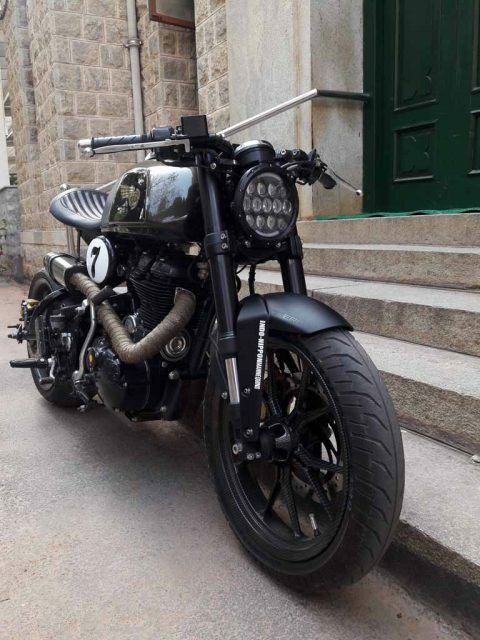 This customisation job has been done by Bulleteer Customs. The standard RE Classic 500 has received an extensive modification, both cosmetically and mechanically. 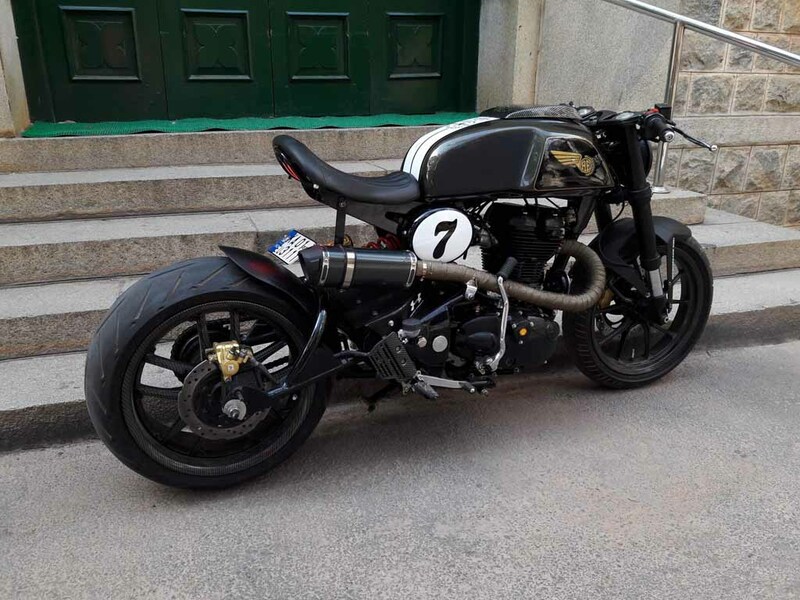 The customisation firm has dedicated this modified motorcycle to the British motorcycle racer Barry Sheen. It comes with a raked front fascia and the large headlamp with 15 LED units gives the model a very bold appearance. The single-pod instrument cluster gets chrome bezel around it. Despite being built from a Classic 500, the fuel tank of Steroid 540 looks like borrowed from the flagship model of the brand, the RE Continental GT, but the Steroid 540 comes with a 4-inch wider tank. 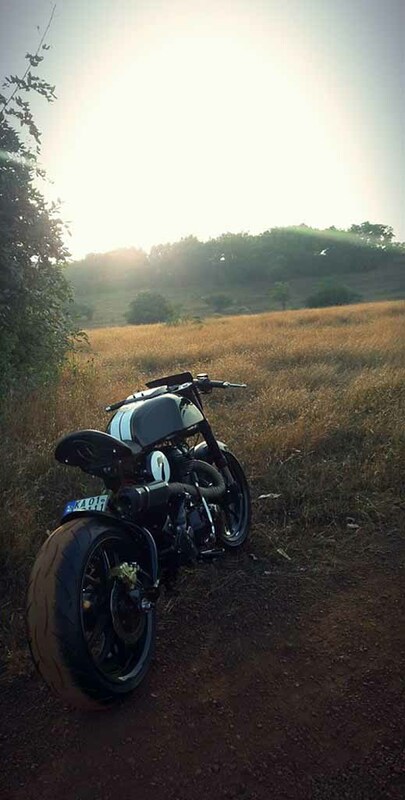 The seat of the motorcycle is also delivering a retro charm and the Steroid 540 doesn’t come with a pillion seat. The entire body, engine block is blackened out and there is golden lettering at the side of the fuel tank. The custom exhaust muzzle is positioned much higher than the regular model. And the Steroid 540 runs on black multi-spoke alloy wheels wrapped in meaty and wide Metzeler tyres with 120 section at front and 190 at rear. This certainly makes the model a track focused motorcycle. Power source for the Steroid 540 is secret, but the Bulleteer Customs has surely modified it. It claims the Steroid 540 is capable of accelerating 0 – 100 kmph in less than 9 seconds and it can run at a top speed of 154 kmph. The regular model gets power from a 499 cc single-cylinder, air-cooled, engine capable of churning out 27.2 bhp of peak power at 5,250 rpm and 41.3 Nm of peak torque at 4,000 rpm.